You already saw the Golden Globes' statement-making all-black red carpet, and you probably perused the best after-party looks too. But that's just the tip of the iceberg—L.A. was filled with Globes-related parties all weekend long, and the Moët & Chandon Film Festival at Poppy happened to be the chicest of them all. Considering Moët & Chandon is the official champagne sponsor of the Golden Globes, it's no surprise that the brand would throw an amazing party. 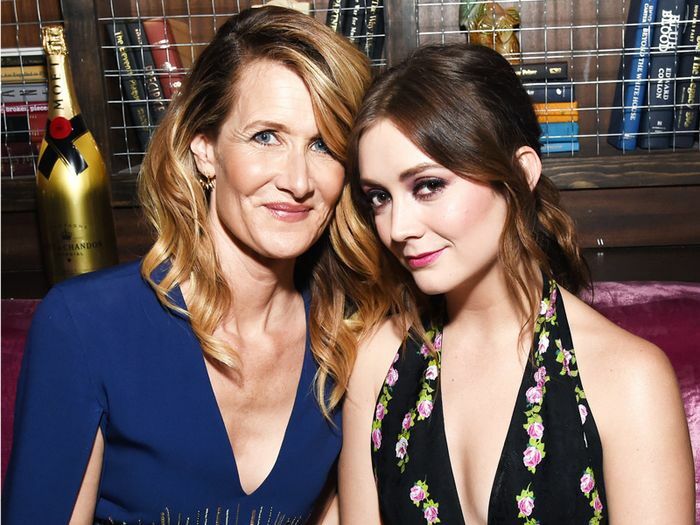 The festival's judges, Laura Dern and Billie Lourd, were on hand to watch the participating short films. Dern wore a stunning Stella McCartney S/S 18 dress with Christian Louboutin shoes, and Lourd opted for a plunging floral gown. Which look is more your style? Read on to see who else was in attendance. Keep scrolling to see the best looks from the Moët & Chandon Film Festival. Next up, see the best looks from the Golden Globes after-parties.